TOMY, a leading global designer, producer and marketer of innovative, high quality toys, infant and toddler products, is making bold moves in 2019, unveiling a host of all-new, innovative proprietary and licensed toy brands to complement its existing portfolio at Toy Fair New York (booth #3003). TOMY brings ingenuity with extensions to existing brands including Lamaze, John Deere, Big Loader, KiiPix, Stink Bomz and more, while adding entirely new brands which extend the company's reach into new and trending categories. TOMY International, a leading global designer, producer and marketer of toys and infant products today announced a multi-year licensing agreement with WWE to produce battling toys featuring WWE Superstars that will be available at mass retailers in the Fall of 2019. Built upon WWE’s larger-than-life Superstars, the line will provide unique and evolving battling game play where fans will be able to pit their favorite Superstars against each other, choosing from the likes of John Cena, The Rock, Undertaker, Seth Rollins, AJ Styles and more. TOMY will produce a comprehensive, innovative line of battling toys for the Americas, Europe, the Middle East, Africa, Australia and New Zealand. TOMY International, a leading global designer, producer and marketer of toys and infant products, announces a one-time opportunity to own a massive, intricately detailed John Deere 1:16 Scale S780 Combine developed as part of the ERTL Collectibles farm toys brand. TOMY, under its ERTL Brand, is offering fans and collectors a unique opportunity to get in on this limited production run via a pre-order program at John Deere Dealerships across the U.S. and Canada. To enhance collectability, the tooling for this replica will be permanently destroyed after initial production. Today, TOMY International, a leading global designer, producer and marketer of toys and infant products, announces its newly consolidated website featuring each and every award-winning brand from the company. The new www.tomy.com includes advanced navigation, an updated layout, expanded content including videos and product instruction, and the ability to share a cart across all brands; creating a more convenient holiday shopping experience for their valued customers. With trend experts predicting that nostalgia and retro themes will be big 2018 holiday gift drivers, TOMY International steps up to the plate with the release of KiiPix™, an affordable instant picture printer that produces retro-stylized photos from any smartphone. KiiPix recently launched in 12 countries around the world and is now available in Canada at Toys R Us Canada, Walmart Canada, Hudson’s Bay Company, Home Outfitters and Showcase, as well as on Amazon.ca. 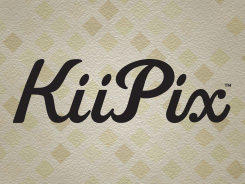 KiiPix has been well-received by industry experts and enthusiasts and is on its way to selling one million units worldwide in its first year. TOMY International, a leading global designer, producer and marketer of toys and infant products, is proud to announce the release of KiiPix™, originally introduced to great success in Japan as Printoss in late 2017, an affordable instant picture printer that produces retro-stylized photos from any smartphone. KiiPix will be launched later this month in 12 countries around the world including, but not limited to, the UK, France, Germany, Italy, Spain, Austria, Swiss, Belgium, Canada, New Zealand and the United States, with plans to expand sales into other Asian countries in future. KiiPix has been well-received by industry experts and enthusiasts, having attracted a great deal of attention around the world at industry trade shows, and TOMY anticipates selling one million units worldwide this year. TOMY International, a leading global designer, producer and marketer of innovative, high-quality infant and toddler products, is excited to unveil the first of many upcoming innovations for new parents and babies with the 4-in-1 Remote Control Bottle Warmer from The First Years. This revolutionary appliance, which has recently been selected by Khloe Kardashian for her baby registry on Amazon.com, www.amazon.com/KhloeKardashianBabyEssentials, changes the bottle warmer playing field with a simple one-touch remote that streamlines middle-of-the-night feedings. Unlike anything else on the market, The First Years 4-in-1 Remote Control Bottle Warmer lets parents prepare and keep a bottle cool, preset a warming time and activate by wireless remote to quickly warm the bottle. The 4-in-1 Remote Control Bottle Warmer also heats baby food jars and sanitizes pacifiers and is available now at Target, Babies “R” Us, Buy Buy Baby, Walmart and Amazon.com in the United States (suggested retail $69.99). TOMY International, a leading producer of high-quality infant and toddler products, has partnered with Maureen O’Brien, PhD, a nationally recognized parenting expert, for The First Years brand. Dr. O’Brien is a well-respected speaker and author, and her psychology expertise includes child development as well as parent support, education, and promotion of healthy parent-child relationships. Dr. O’Brien earned her PhD at the University of Minnesota and held a Postdoctoral position at Harvard University. Dr. O’Brien will provide child development expertise and advice related to product innovation for The First Years brand.